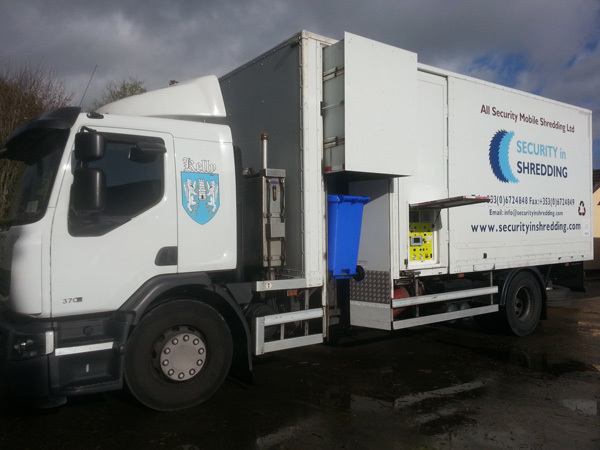 At Security In Shredding we provide excellent and secure service in both onsite shredding and onsite collection with off site shredding. Providing paper shredding in Ireland with a high quality service. We operate under this standard. The Din requirement is in place and provide 3 separate shredding levels for your data destruction. The level of protection will depend on the how fine the paper is shredded. The type of documents used will depend on the level of security you should implement. Documents containing a low threat and low impact would require Din level 1. Sensitive data restricted to a small group of people would require Din level 2 as if these documents were leaked would cause harm to a business. Din level 3 should be used for highly confidential data only accessed by authorised people. Data is not just paper data. It comes in many forms and digital data and the devices used also need to be destroyed in a secure manner. Digital has has become more and more popular and data protection of these devices needs to be implemented. This entry was posted in Confidential Shredding, Data Destruction, Data Protection, Digital Data, Off Site Shredding, Onsite Shredding and tagged Confidential Shredding, Data Security, EN 15713, ISO 27018, Paper Shredding Dublin, Paper Shredding Ireland by Security in Shredding. Bookmark the permalink.